In the mood for a hearty soup and homemade bread combo? 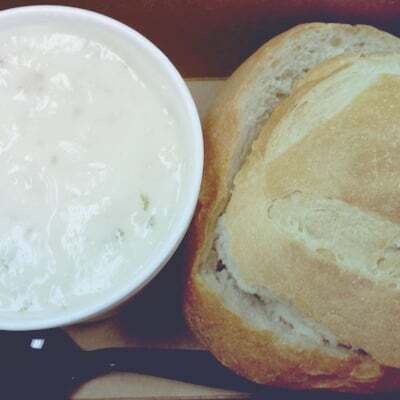 You can order up our clam chowder or soup of the day in a fresh sourdough bread bowl, or enjoy your bread on the side. Soups are made fresh daily. Deli & Bread Connection staff and crew have been feeding locals and visitors since 1988 and, besides soups, sandwiches and salads, feature their own signature dishes, vegetarian specials and tasty desserts. See the menu here. Our ten years of “Best of Kauai” and “People’s Choice” awards for best deli sandwiches and our unique bread bakery and say it all. People love our food, and we strive to keep it that way. See a sampling of customer reviews below. “Just stand in that damn line cause their sandwiches are definitely worth standing in line for! Yes, Deli and Bread Connection is FAMOUS for having a line that goes out the front door, but there's a reason everyone just waits in line. Plus, the line actually moves pretty darn quick...and the food wait is rather reasonable. Since Kukui Grove was right across the street from where I was "working/studying/learning" during my one week stay in Kauai, I was excited to give Deli & Bread a try. My friend and I heard rad reviews from the locals, and the Yelp reviews were great too! Since we wanted to try both, we shared the Lobsta' Roll and the Bread Bowl (filled with clam chowder). My oh my, oh my. It was the best lunch out of my entire trip. Let's just say I absolutely loathe onions, but I couldn't stop eating this sandwich, although it had onions in it. The chunks of lobster, with hot Swiss cheese and mushrooms...and the onions, I guess...meshed together so well, and the homemade bread was the perfect texture. I actually wish we just went back to Deli and Bread every day, instead of trying new places. The clam chowder was nice and hot, with perfect flavor! This was especially good in a sourdough bowl, which I used to scoop out every last drop of soup. Ugh...I REALLY wish we went back every day for lunch! So many other sandwiches I was eyeing out! Not that I regret at all, the places we went to lunch, Deli and Bread is just THAT good! You have to, have to try Deli and Bread. It's probably the best dining place in the shopping mall, and possibly the best lunch place in all of Kauai. Everything is delicious and worth the 20 minute wait!! I had their lobster roll twice and it was packed with lobster!! Lots of lobster chunks with pieces of mushrooms n onions!! The price of $9 is not bad either!! 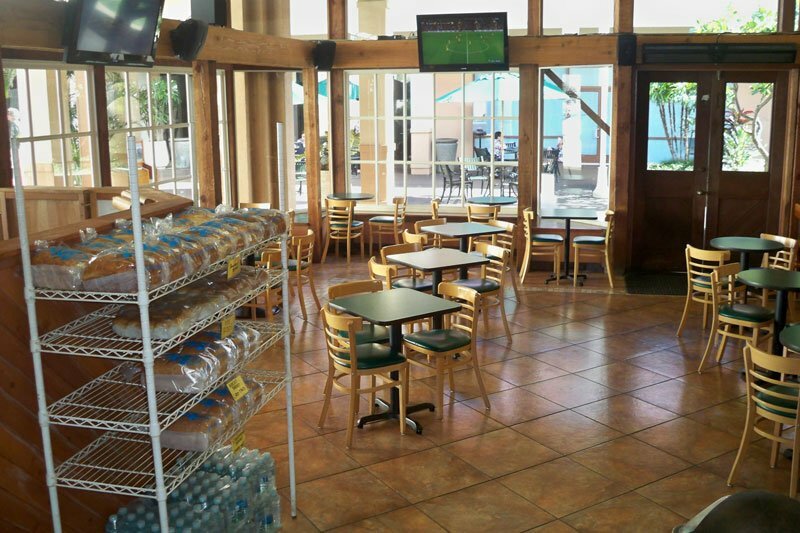 At Deli & Bread Connection Inc, we also serve a wide variety of subs, salads, and other mouthwatering food choices. 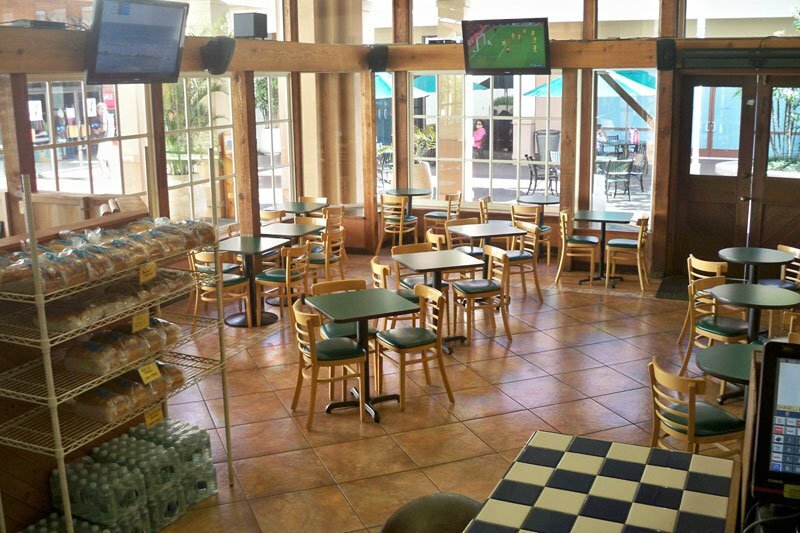 You’re sure to find something new to try, so grab a bite at our sandwich shop. View our deli menu today to check out our offerings. We accept call-in orders!